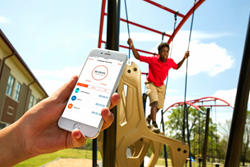 The combination of playground equipment that appeals to older children and an app for iOS and Android creates a fun, challenging way to help students stay physically active. 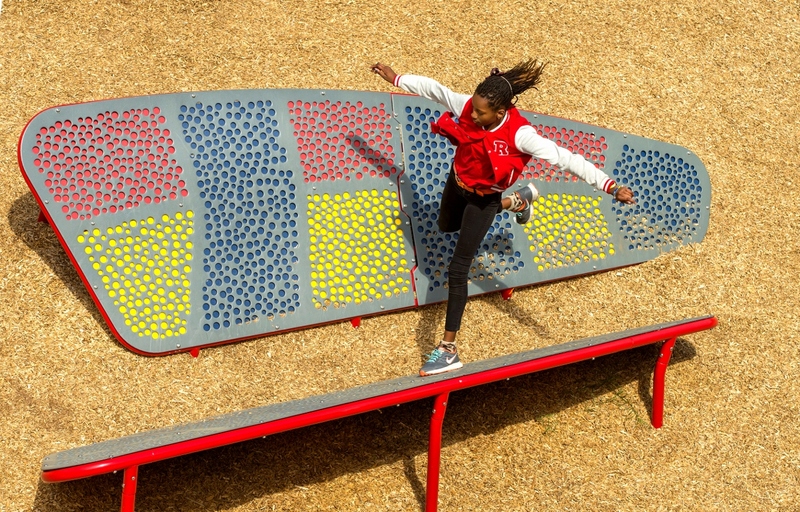 "The GameTime Challenge Course has expanded Walter G. Byers School's capacity for physical activity and provided opportunities for older students to be more active. 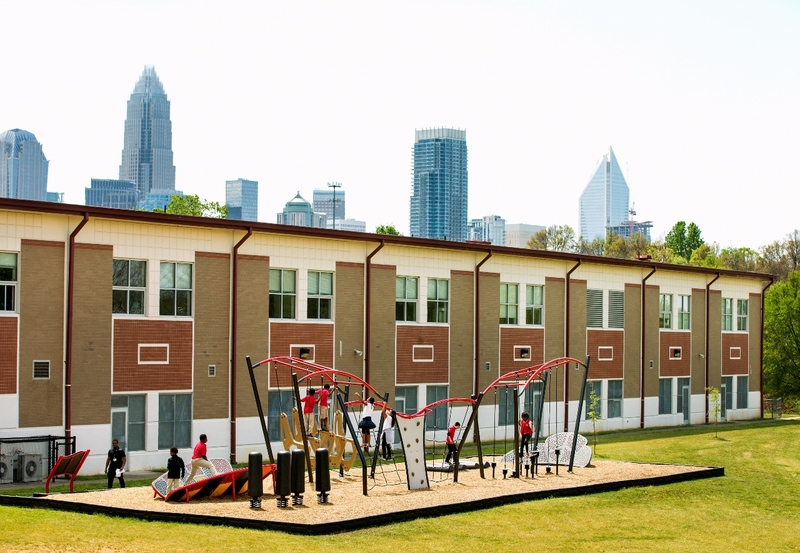 GameTime recently installed a Challenge Course at Walter G. Byers Elementary, a K-8 school in Charlotte, North Carolina. Like most schools who serve middle school-aged children, Byers faced a student population that was less active once they grew too old for the traditional playground. Unless the students were involved with organized sports, they engaged in very little physical activity during the day. Project L.I.F.T., a public/private partnership organized as a nonprofit organization that initiates pilot projects within the Charlotte/Mecklenburg School System, sought a new way to engage older students in physical activity. 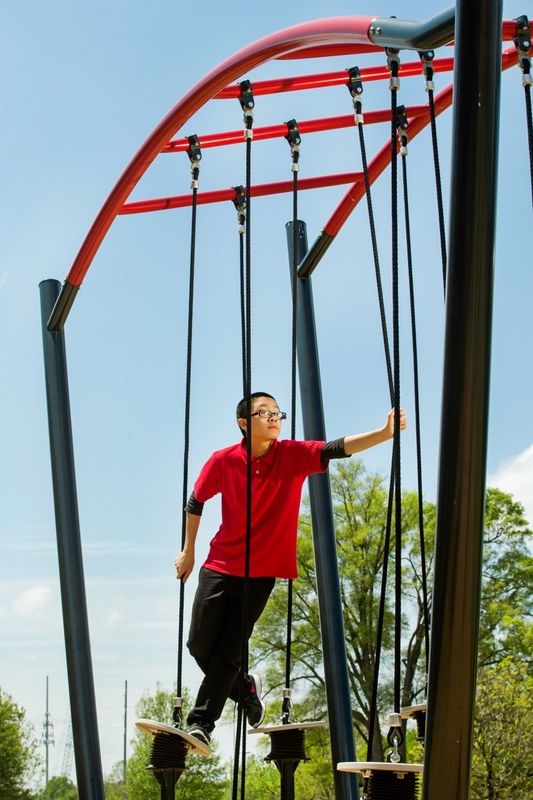 While Byers has two playgrounds on the campus, traditional playground equipment is designed to meet a standard that applies to children between the ages of 2 and 12. The sixth through eighth grade students at Byers had simply outgrown the playground they had grown up with. It was time to create something more challenging for them, something that would encourage them to be active before, during and after school. The team at Project L.I.F.T. 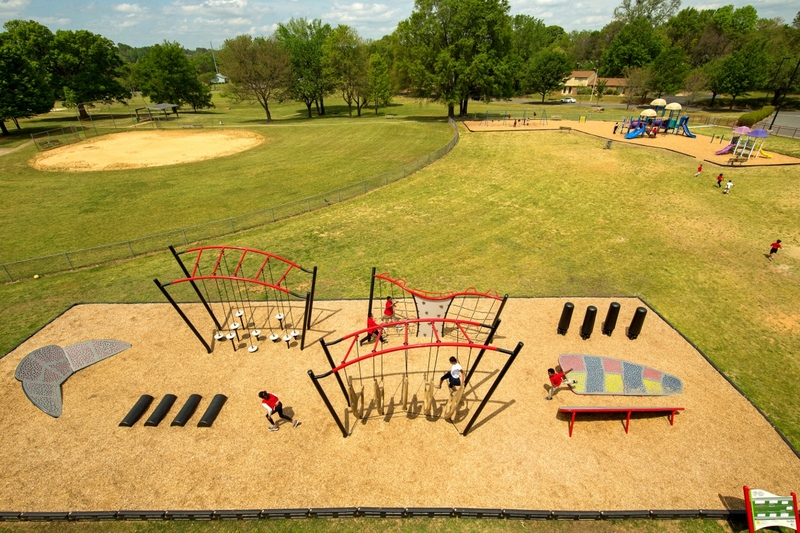 selected Challenge Course equipment–manufactured by GameTime of Fort Payne, Alabama–because it provides activities similar to obstacle course shows on television. The unique design and aggressive form language is appealing to older students. 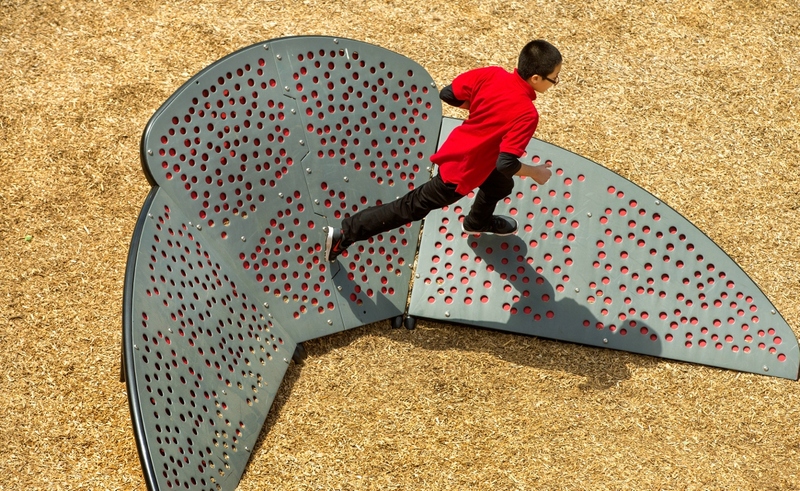 The challenges are much more physical than a playground, and provide a unique experience that is more age appropriate. Physical Education classes, as well as free time before and after school are now a much more active time. Students utilize the Challenge Course to socialize, to have fun and to become more physically fit. "The GameTime Challenge Course has expanded Walter G. Byers School's capacity for physical activity and provided opportunities for older students to be more active," said Christian Warren, Lead Physical Education Teacher at Walter G. Byers School. "Playground equipment has a strong influence on where students at our school play and on levels of activity. 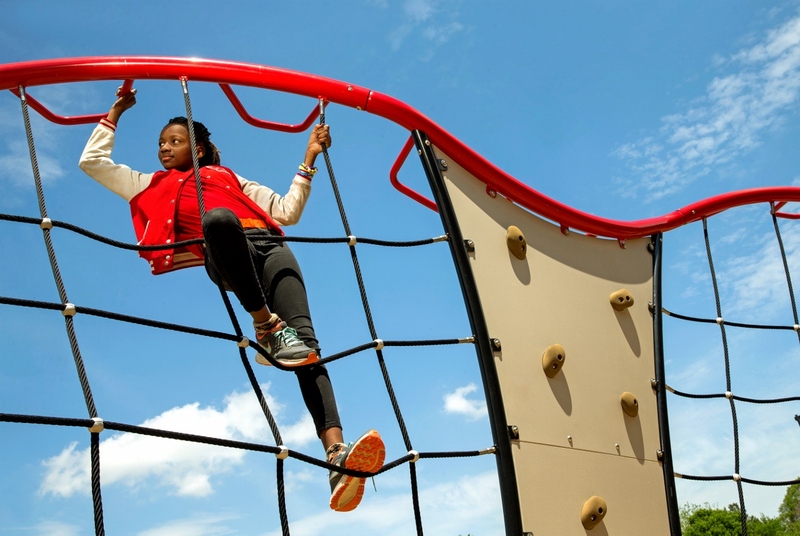 The GameTime Challenge Course has provided our school with a challenging, fun, accessible, low maintenance and above all safe physical activity options outside of normal Physical Education." With the addition of the Challenge Course app (iOS and Android), students and teachers have the ability to create student profiles, record individual and group times and compare the results to determine the progress of a student or an entire class. The app includes a leaderboard that shows the top performers on each course. Because all Challenge Courses are designed to the same specification, the students and teachers at Byers can use the app to compare their progress against other schools in Charlotte and across the country.